We have collected some of the most iconic and beloved springtime flowers to create an arrangement that just bursts with exciting colour. White lisianthus brings a snowy-white purity to the display, and look sensational when combined with the rich, royal blue of hyacinths. For an extra pop of striking colour we have included golden narcissi, to herald the return of sunnier days. 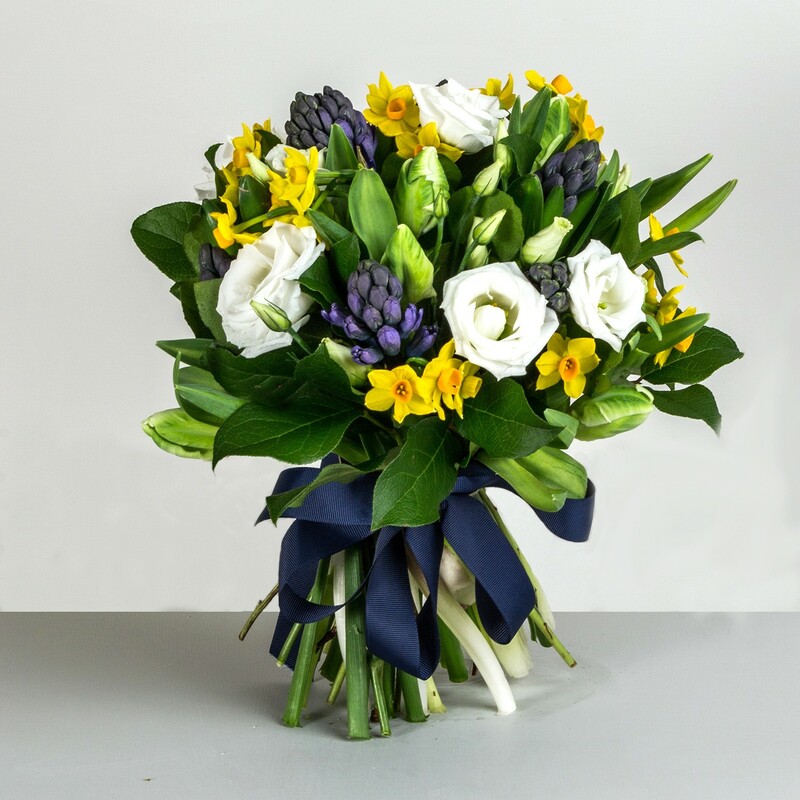 The whole bouquet is completed with classic tulips, and hand tied with an elegant navy ribbon.